This year it feels like Christmas is coming early. 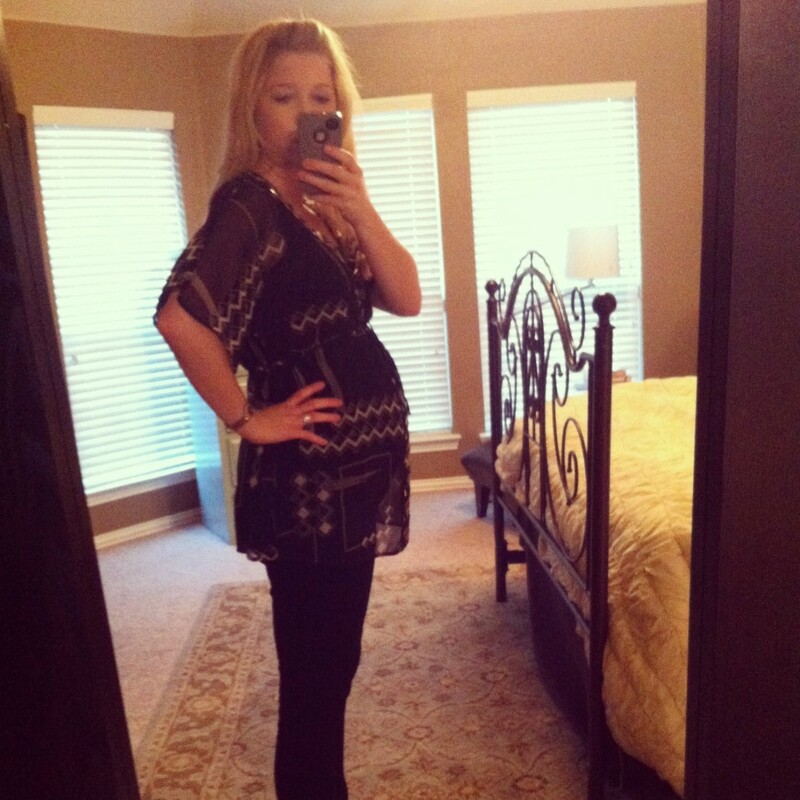 Well, not Christmas, actually – but our due date. At my 22-week doctor appointment a few days ago, my doctor informed me that it was in fact my 24-week appointment. I’ve been skipped a grade. Or two weeks, thanks to a few ultrasounds that showed baby is much further along than they previously thought (and which better follows my original math for the due date). My new due date is July 12. I was so happy I almost hugged her. Two weeks closer to holding baby girl. Two weeks closer to not being pregnant. And two fewer weeks of BEING PREGNANT IN TEXAS IN JULY. 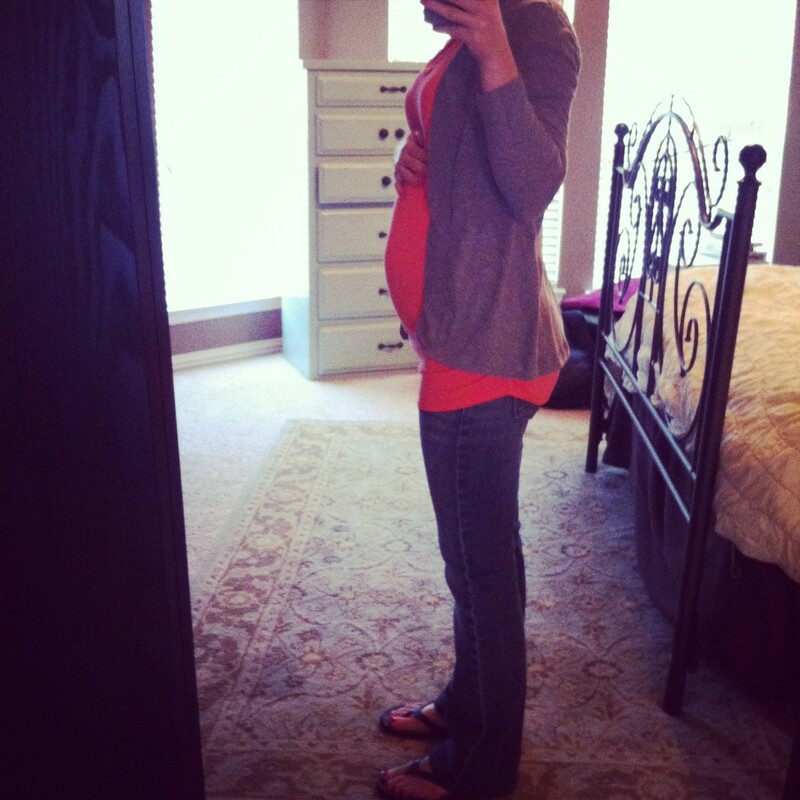 Praise Jesus, this mama won’t be seeing August 1 with a baby in her belly. And, for your entertainment, here’s some more belly pictures. I found out this week that my uterus is now the size of a soccer ball (is that TMI? ), which explains why my belly is now the size of a soccer ball. 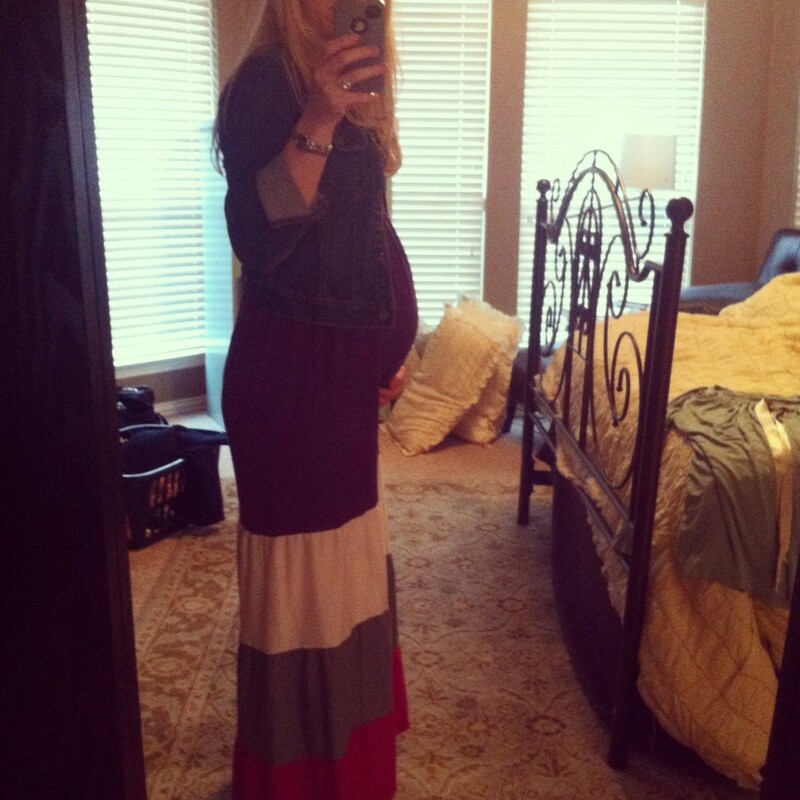 I’m so happy for maxi dress season – this one is a “regular” non-maternity one from my closet, that still fits… for now. 24 Weeks. 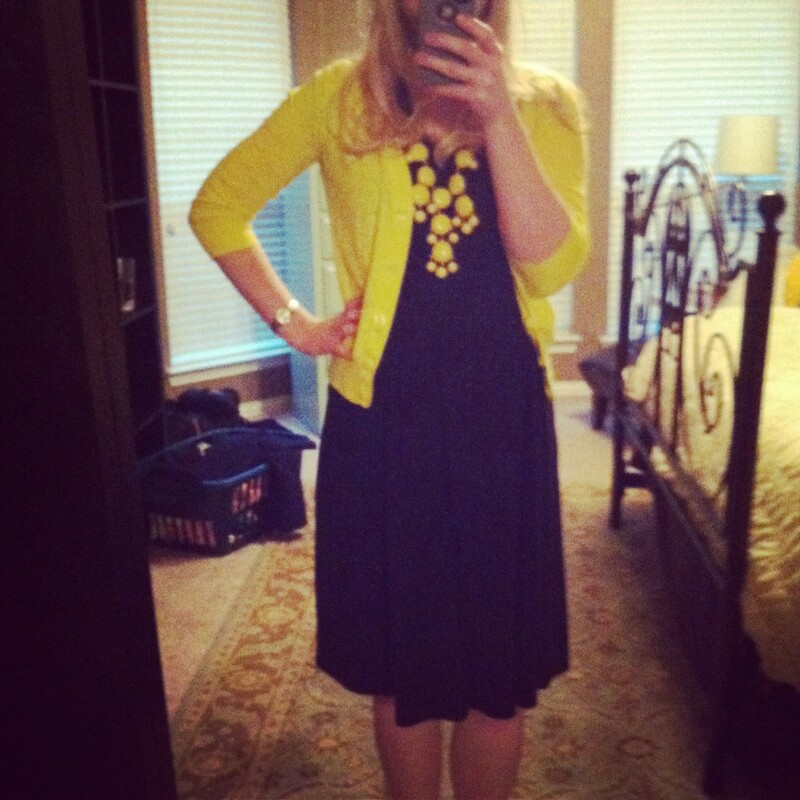 A front view of my new favorite dress, a hand-me-down from my sister-in-law. 24 Weeks. A side view of that same dress, worn to a western-themed work party Friday night. I almost didn’t go, because I was feeling nauseous, but plugged through and ended up winning an award for “Board Member of the Year” for The Cowtown Marathon. What a wonderful surprise and honor from one of my favorite organizations. 24 Weeks. What my colleagues didn’t see was me getting so winded and nauseous walking back to my car with Mr. Right that I had to stop twice, bend over with my hands on my knees, and try my darndest to “get it together” and keep going. Good thing baby girl that you’re worth it. You, my darlin’, are too cute ! 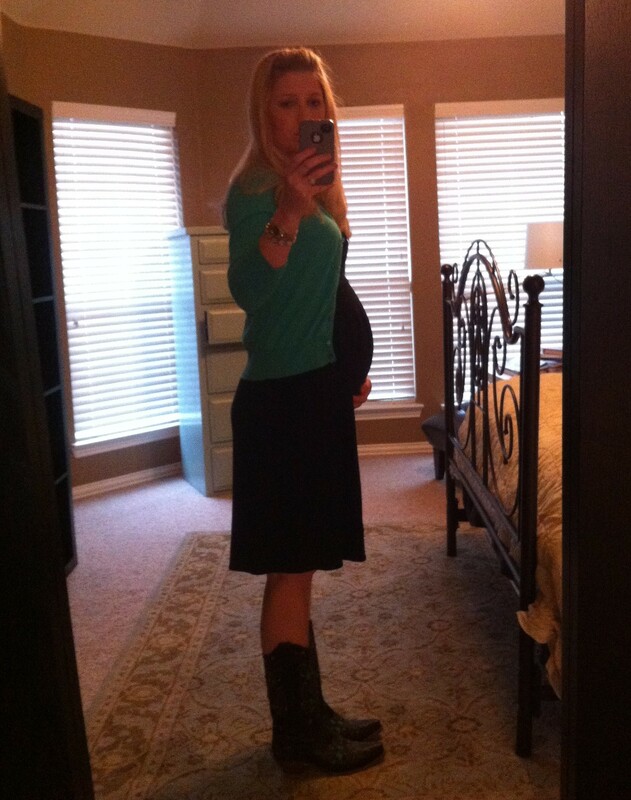 Love that top you’re wearing in the 21 weeks picture. You’re always so pretty. 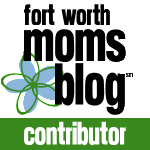 That’s so sweet – thanks Nyree!